Who will you dress up as? Everyone is invited to dress up as their favourite character from a book. All classes will be providing an activity which is reading related. Foundation Stage and Upper Key Stage Two are looking forward to visiting Waterstones. Tent temptation – book buddies have been busy organising some exciting events in Kynance Cove (the library, not the Lizard)! Which will you you choose? Perhaps you will kick start with your Book Talk (towards your “Book Award”) or share a story with Grandma or Grandpa! Each activity will be filled with excitement and opportunities for all the family to be involved…who will you bring? So, start reading your favourite book (or explore a new one), ask a family member to come aboard and prepare your costume! This entry was posted in Class 1, Class 10, Class 11, Class 2, Class 3, Class 4, Class 5, Class 6, Class 7, Class 8, Class 9, Events, FOBSA, Foundation Stage, Uncategorized and tagged Celebrations, Reading, Whole School on February 7, 2014 by bosvigo. 18 children from Key Stage 2 had a fantastic time taking part in our first athletics competition on Friday afternoon. 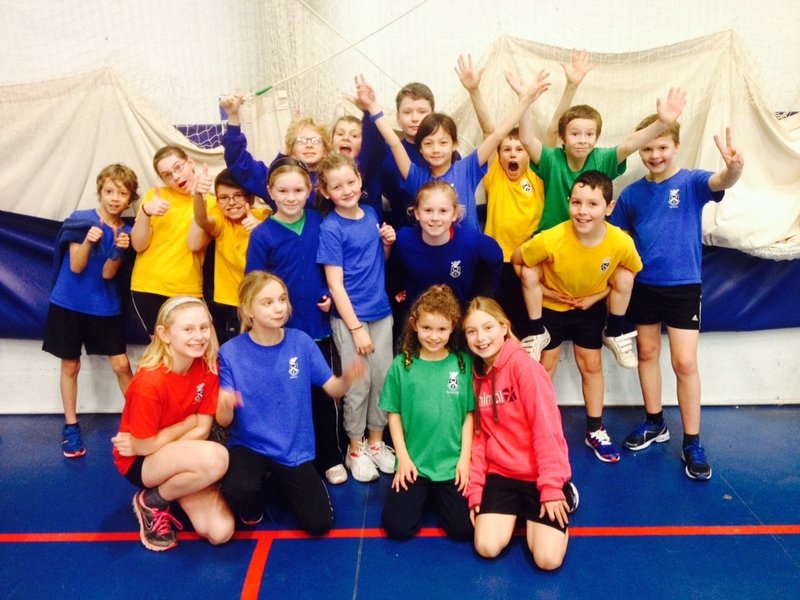 The children took part in a series of track and field events and competed very well with schools from the Truro area. We gained a number of firsts and seconds in the track events and came fourth out of seven overall. This was particularly pleasing given that we had a number of Year 3 and 4 children competing in a Year 5/6 competition. Next up for our keen athletes is the KS2 cross-county competition at Penair School on Monday 3rd April. 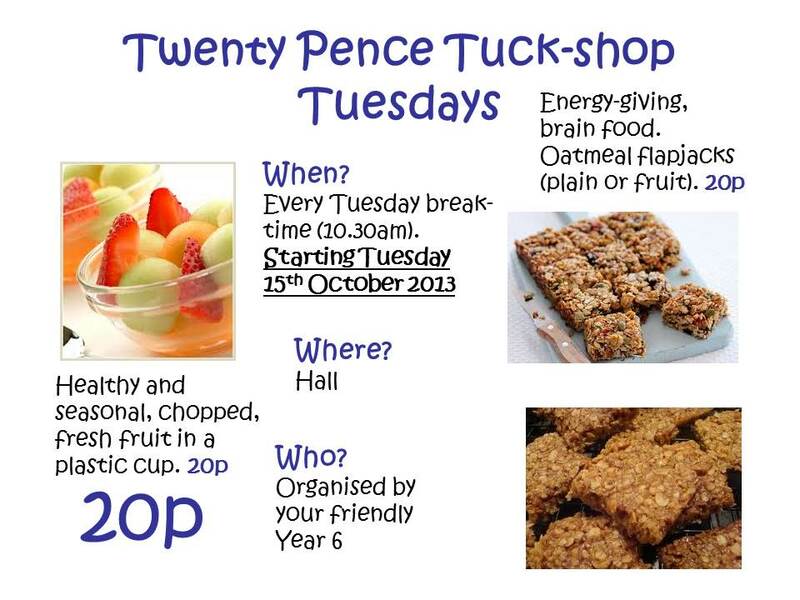 We will be running trials for this event during lunchtimes next week. This entry was posted in Class 10, Class 11, Class 6, Class 7, Class 8, Class 9, Uncategorized on January 17, 2014 by bosvigo. Well done to all the children from Year 4, 5 and 6 who took part in our first school swimming gala yesterday at Truro High School for Girls. 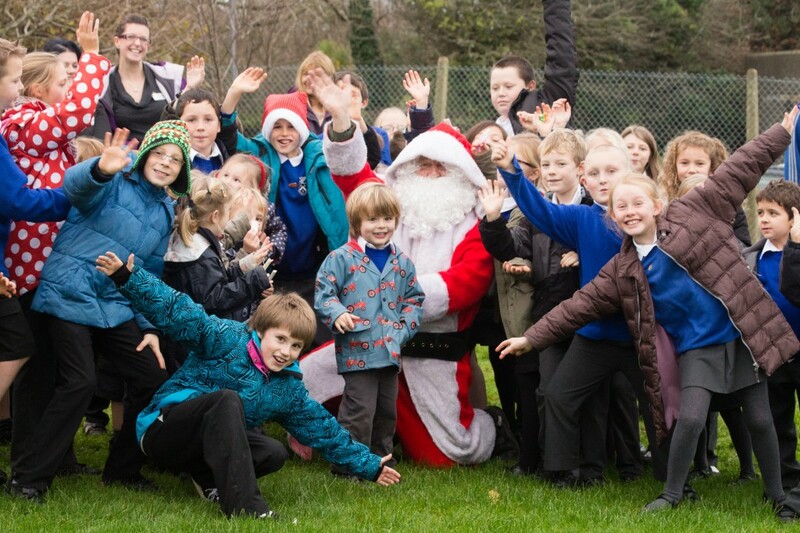 In total 44 children participated in 40 races including front crawl, breast stroke, back stroke and butterfly. 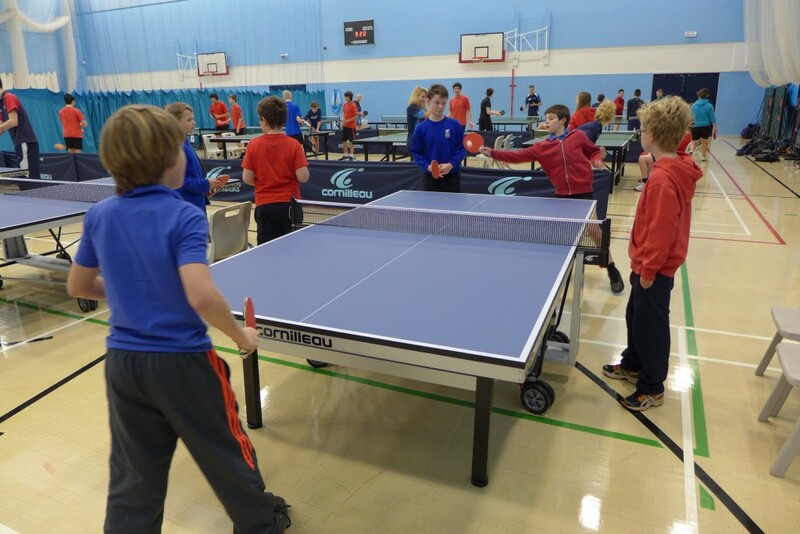 Mr Armstrong, Mr Wallis and Miss Rowe were hugely impressed by the keenness and quality of the competitors and would like to thank the children for making it such a great event. From the Bosvigo Swimming Gala, we will be selecting 16 children to represent the school in the Truro Primary Schools Swimming Gala in January. Good luck to everyone involved! This entry was posted in Class 10, Class 11, Class 7, Class 8, Class 9, Uncategorized on December 18, 2013 by bosvigo. 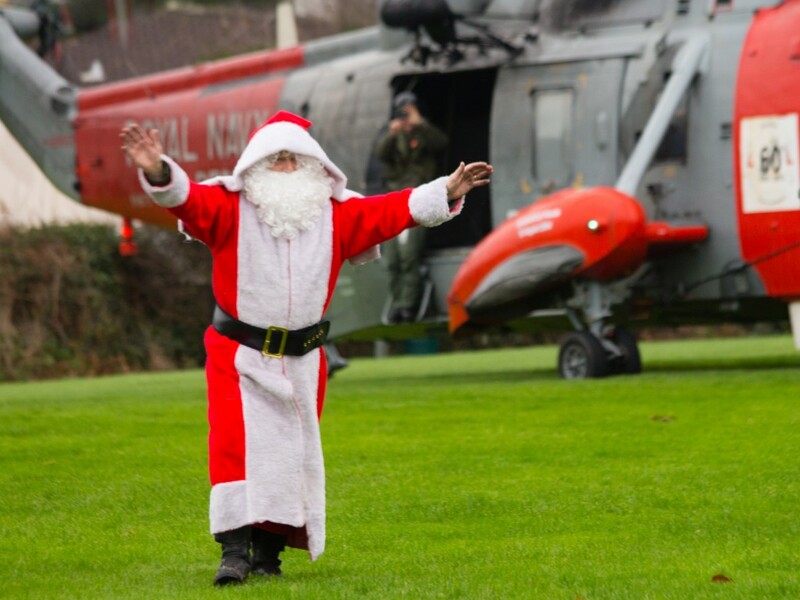 Santa comes to Bosvigo… by helicopter! 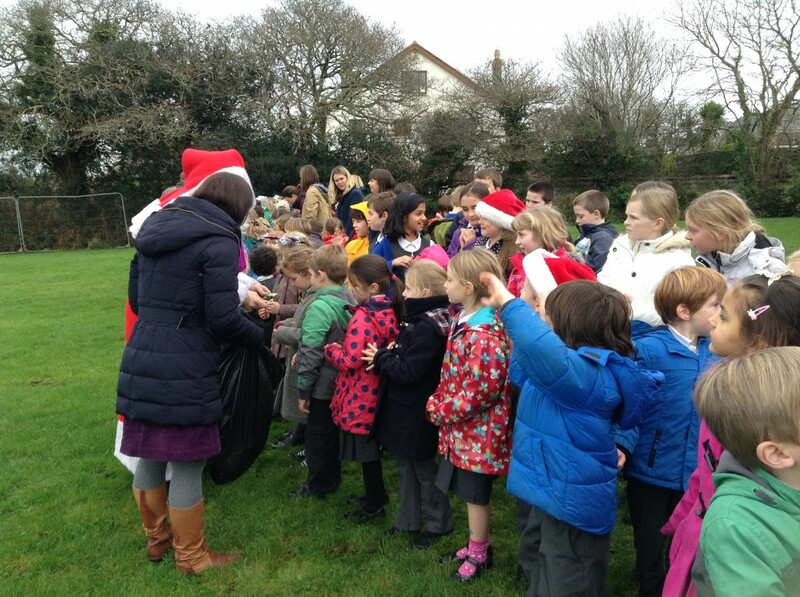 The children enjoyed a great surprise this afternoon when we gathered together after lunch and went for a ‘secret walk’. None of the children were told where we were going and even those who quickly worked out that we were heading to the Donkey Field had no idea why. 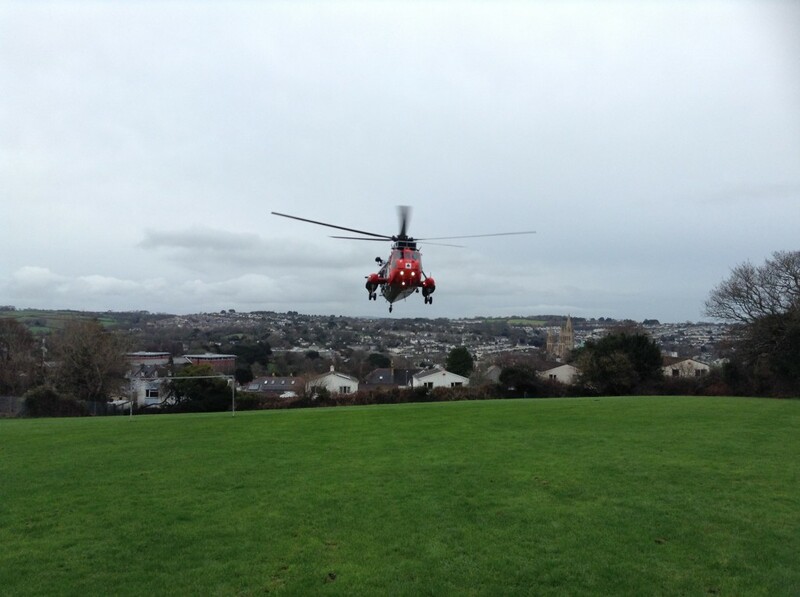 On the way up to the Donkey Field, a few children noticed that a Sea King helicopter appeared to be circling Truro and once we got to the top of the hill they realised why. Soon after organising ourselves at the top of the field the helicopter flew nearer and nearer before landing in the middle of the field. If that wasn’t a good enough surprise, who should jump our but Father Christmas with a huge bag of sweets! 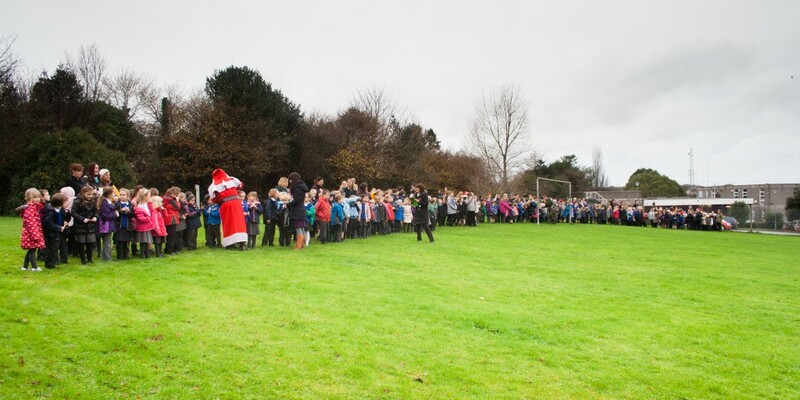 Father Christmas handed out a sweet to every child before posing for a quick photo, then it was time for him to fly. 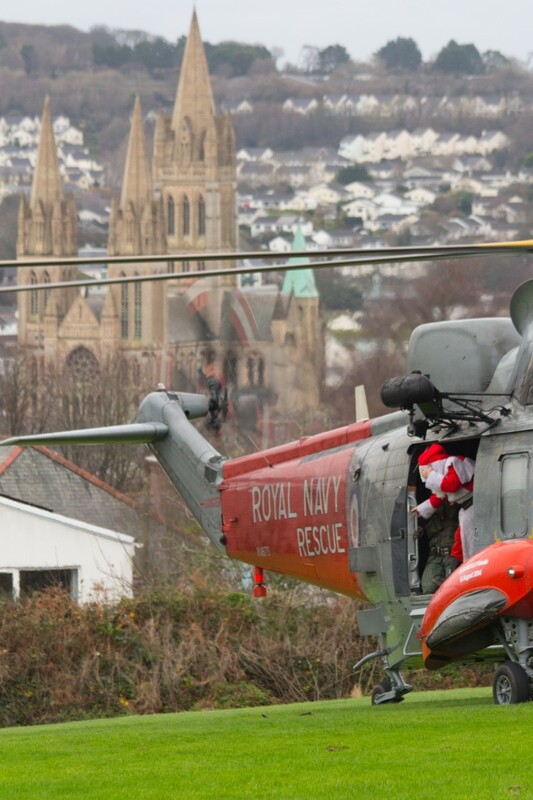 We asked him why he was travelling around in a helicopter when he has flying reindeer at home, but he said that with Christmas only a few days away they needed to save all their energy and were resting back at the North Pole. This entry was posted in Class 1, Class 10, Class 11, Class 2, Class 3, Class 4, Class 5, Class 6, Class 7, Class 8, Class 9, Uncategorized on December 16, 2013 by bosvigo. 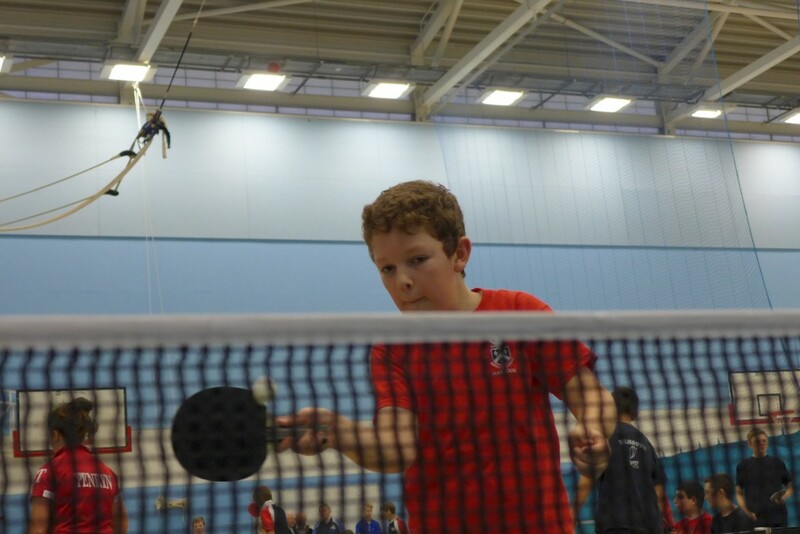 Bosvigo table tennis team qualifies for regional finals! 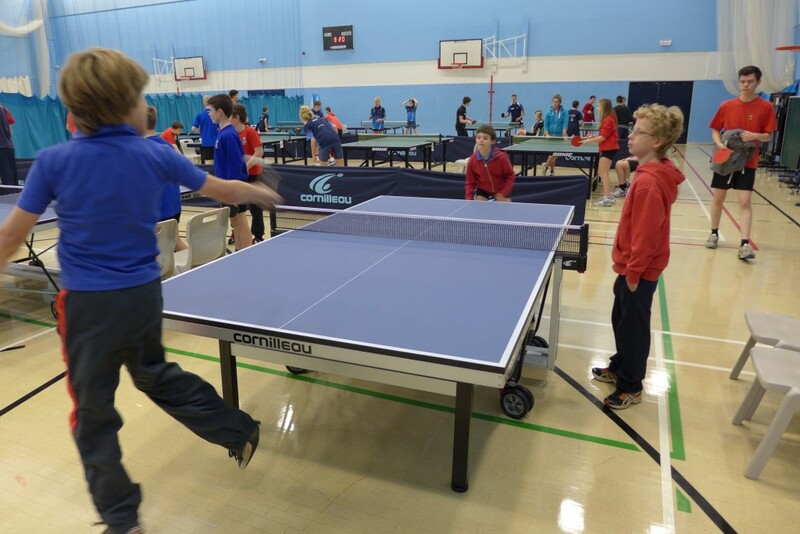 Congratulations to our two table tennis teams, who today went to the County finals at Penryn College and won – this wasn’t as hard as it seems, as we were the only two teams entered! 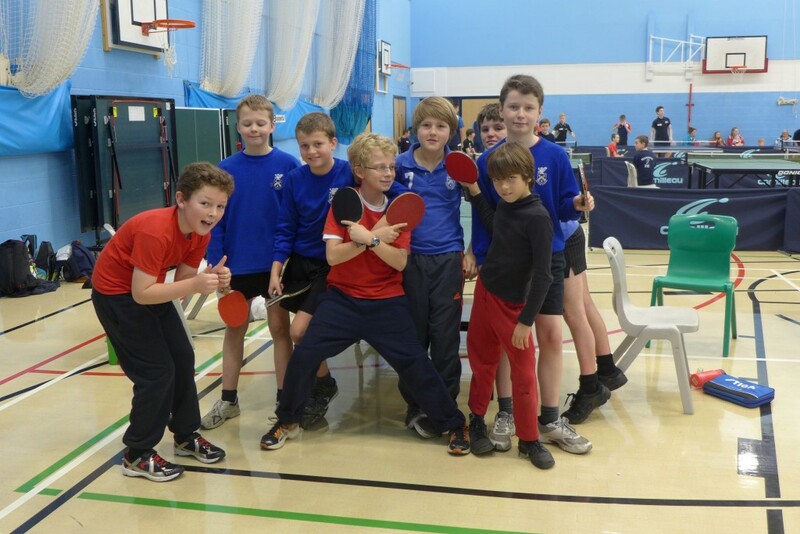 Nevertheless, the boys played some outstanding table tennis (against each other) and our B team won the Under-11s title, beating the A team 5-3. 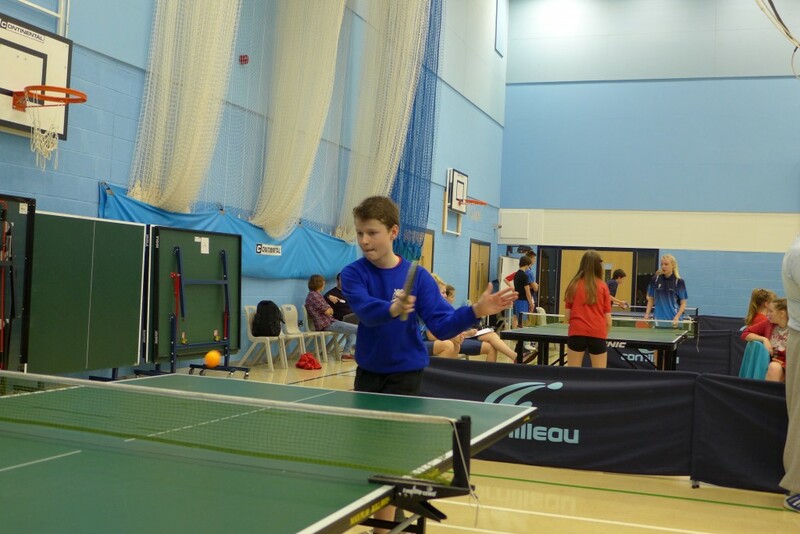 The standard of table tennis displayed by our team members was very high and the coaches running the competition were very impressed by the level our boys have reached without any coaching. 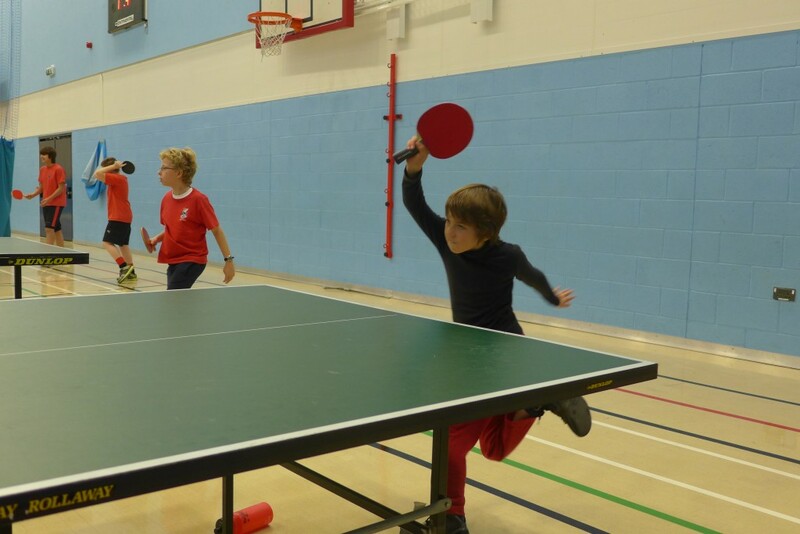 Their development will hopefully rocket after Christmas, as we have all but finalised a plan for a former County champion to lead a weekly after-school table tennis club at Bosvigo in the New Year. As the event winners, we now have the exciting opportunity to compete at the regional finals at Eggbuckland School, Plymouth on 19th January. Well done to all the boys taking part today and good luck to Ras, Callum, Orlando, Perry and Robert, who will be going through to the next stage of competition. This entry was posted in Class 10, Class 11, Class 9, Uncategorized on December 13, 2013 by bosvigo. 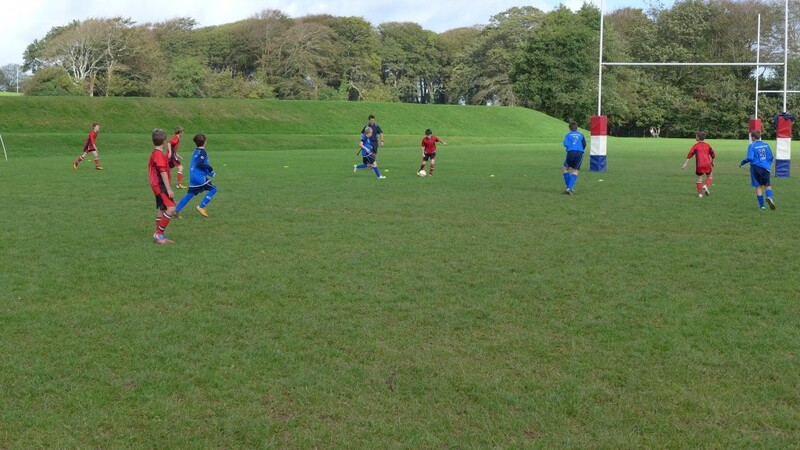 Well done to our school football team, who travelled to Portreath School this afternoon and won an entertaining match 4-2. With a squad of 12, we made good use of the rolling substitutions rule and everyone played an important role over the course of this extended 40-minute match. 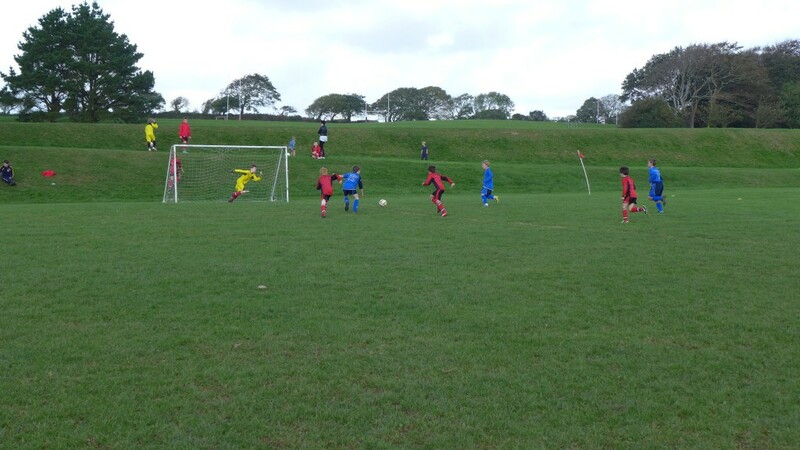 After a slow start we got ourselves 3-0 up with great long-distance strikes from Stan, Ras and Joe before Portreath scored a nicely-worked goal of their own to bring the game back to 3-1. Just before half time Callum showed good determination to score our fourth, leaving the score at the break 4-1 to Bosvigo. In the second half it was much closer, as the Portreath goalkeeper made countless saves with his hands and feet to deny almost every single player in our squad. 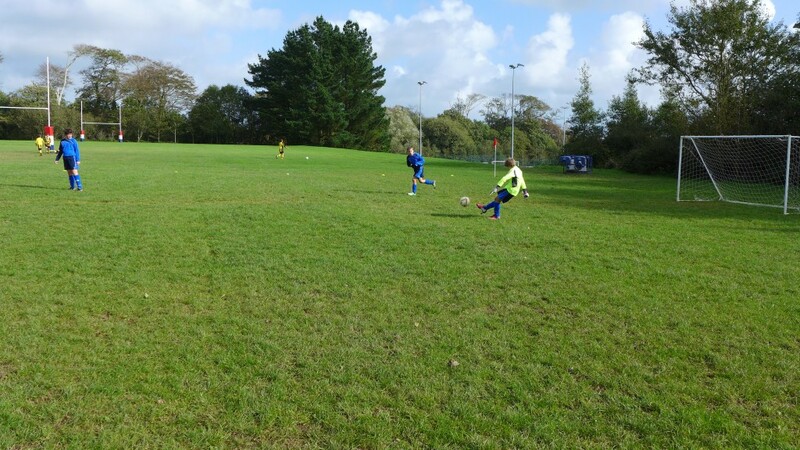 Portreath had some good chances of their own and Ras made a number of good saves before our hosts finally broke through to score a late second. All in all this was an enjoyable and entertaining match and one that we are keen to repeat in the early stages of 2014. Our thanks to Mr Larcombe and Portreath for hosting the match and for providing us with drinks and biscuits at the end. This entry was posted in Class 10, Class 11, Class 9, Uncategorized on November 4, 2013 by bosvigo. On Wednesday, 20 children from Year 5 and 6 were invited to attend a Design Technology workshop at Richard Lander School, where the theme of the day was Halloween Cake Pops. The children made three kinds of cake pops – witches, spiders and pumpkins. They made the cake mix, including a little blended pumpkin for flavour, then prepared the icing. The cake pops took almost all day to make, but looked fantastic and tasted delicious. Miss Richie, the DT teacher at Richard Lander was very impressed by the efforts of our young bakers and Year 5 and 6 are already hoping for another invitation. Easter egg making currently tops the list of requests! This entry was posted in Class 10, Class 11, Class 9, Uncategorized on October 25, 2013 by bosvigo. 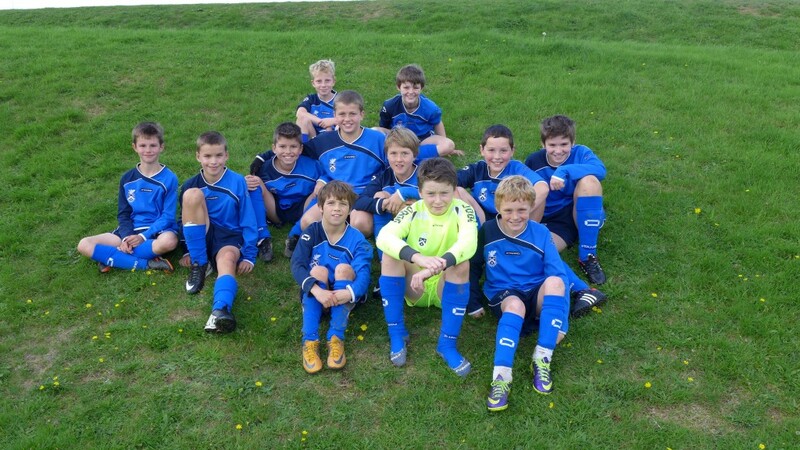 Congratulations to our Year 5/6 football team, who came second in the Penair and Partners football competition this Thursday afternoon. 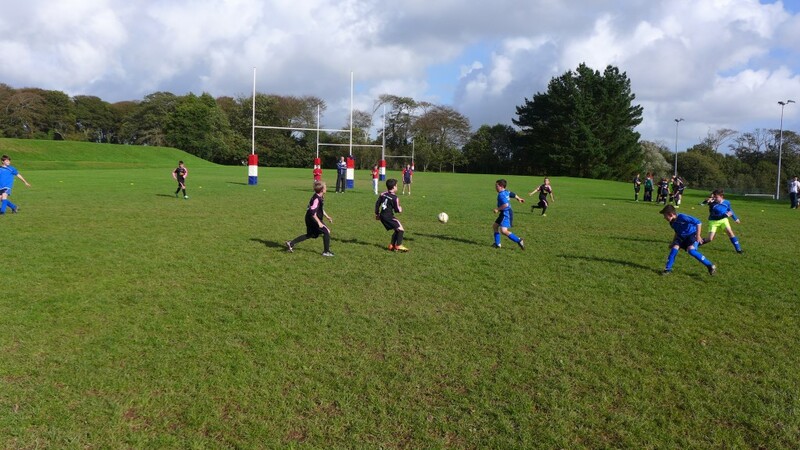 The boys played six games and after losing their first match narrowly to Devoran (the eventual winners), they went on a fine run, winning four and drawing one of their remaining five fixtures. 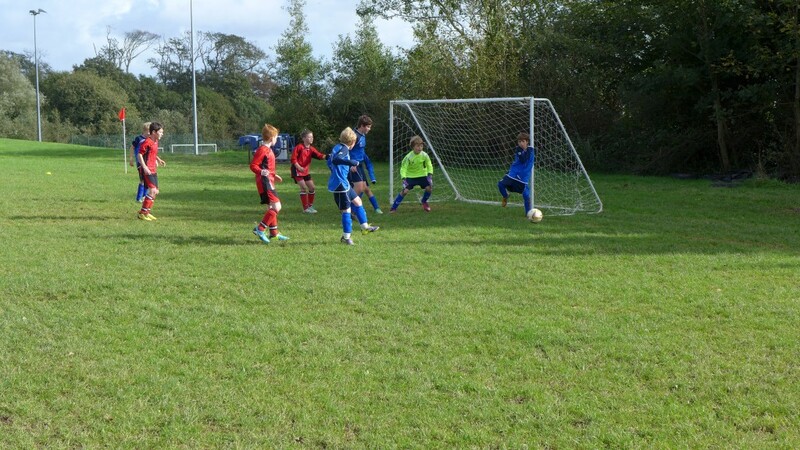 We scored some fantastic goals and conceded only two in the whole tournament. 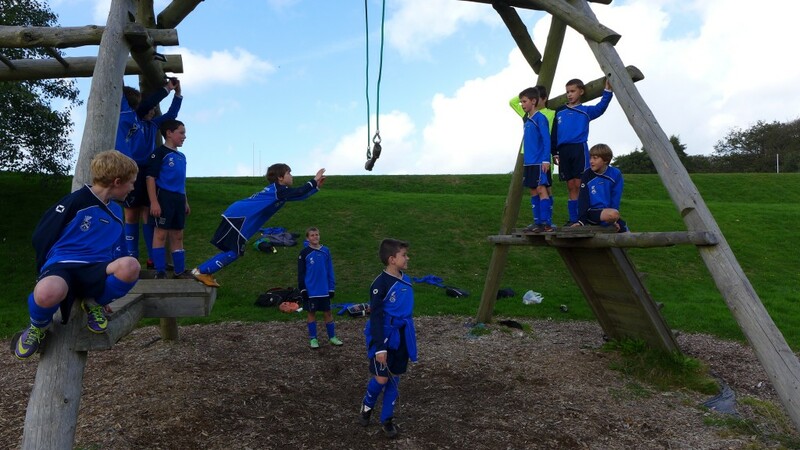 The boys showed tremendous team spirit throughout the competition and were rightly very proud of finishing in second place – our highest finish in recent years. This entry was posted in Class 1, Class 10, Class 11, Class 2, Class 3, Class 4, Class 5, Class 6, Class 7, Class 8, Class 9, Classes, Sport, Uncategorized on October 17, 2013 by bosvigo. 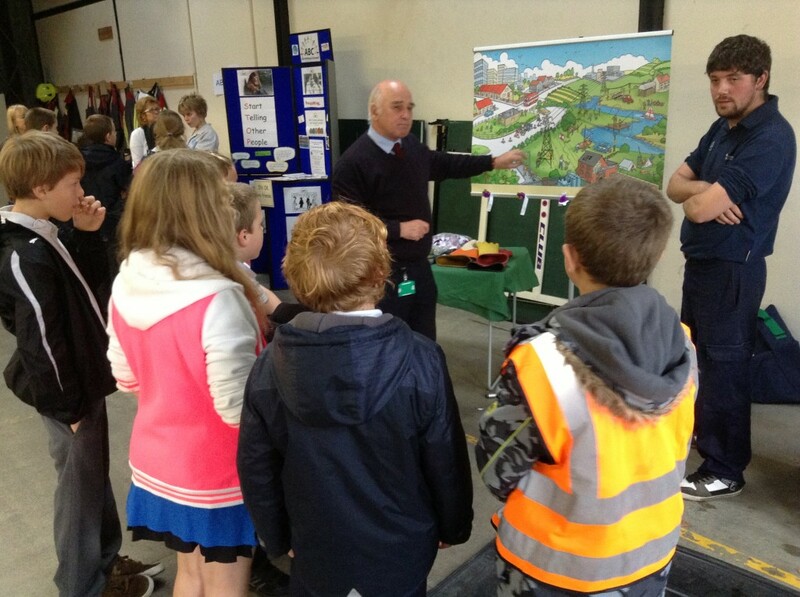 This week, all of Year 5 visited Truro Fire Station. It was great! We left Bosvigo, walked up to the fire station and the weather confirmed its content mood as the day trotted on. We walked up the winding roads and twisted passages to the huge red doors: a signal that we had reached our destination. As we were sorted into groups by the fire station staff, we wondered what activity was in store for us. We walked into the truck park and there were nine workshops. There were seven activities downstairs and two upstairs. 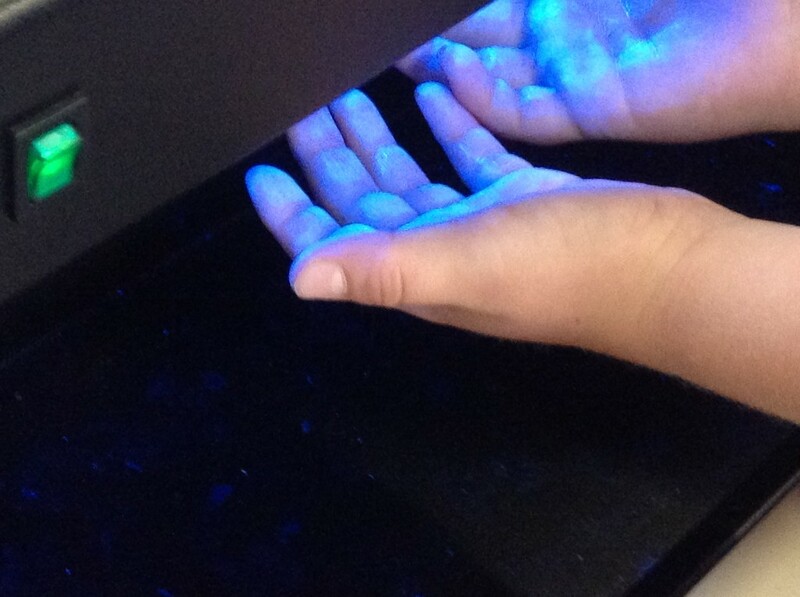 One of Class 9’s favourite activities was the hand hygiene which included rubbing a special paste into our hands and seeing how bacteria covered our hands were. We then washed them and checked them again. When we had finished all the activities we made our way back to school. After a downhill walk, we had worked up a good appetite. As soon as we arrived back at school we all grabbed our lunches and went to lunch thinking about our fire station experiences. This entry was posted in Class 10, Class 11, Class 9, Uncategorized on October 11, 2013 by bosvigo. This entry was posted in Class 1, Class 10, Class 11, Class 2, Class 3, Class 4, Class 5, Class 6, Class 7, Class 8, Class 9, Uncategorized on October 7, 2013 by bosvigo.